Manchester United fans have responded to Jose Mourinho’s criticism about the subdued atmosphere at Old Trafford. Mourinho said United’s supporters were “quiet” during Saturday’s 2-0 home win over Huddersfield in the Premier League. The United manager went on to cite Portsmouth’s Fratton Park as an example of a good atmosphere. In a statement, the Manchester United Supporters’ Trust said: “We note our manager’s further comments regarding the poor atmosphere within Old Trafford following the Huddersfield home game. “He played only three (matches since joining from Arsenal) and the first at Old Trafford, and I think Old Trafford, in spite of being a quiet stadium, the pitch is big, the grass is nice and obviously the players feel very comfortable playing here,” he said. He also, after the 1-0 win over Tottenham in October, expressed his unhappiness with United fans over what he regarded as unfair treatment of Romelu Lukaku. “We believe that atmosphere is primarily dependent on the perceived relationship between fans and club – including the degree of supporter ownership and engagement,” the group added. 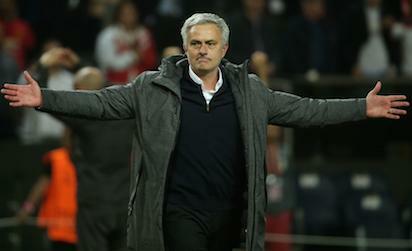 The post United fans respond to Mourinho criticism appeared first on Vanguard News.